9 руб. 2500 шт. 2-3 недели 100 шт. 100 шт. 34 руб. 100 шт. 3-4 недели 1 шт. 3 шт. от 100 шт. — 20.80 руб. The LTM series from Bivar is a family of LED spacers for through-hole LEDs. They are designed to elevate the LED from the PCB and offer protection from high temperature environments. LTM spacer mounts feature internal tapered pin dividers to support the LED pins. 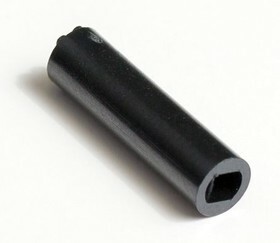 They are made using a black crystalline polymer with a UL rating.